There is a saying that “You don’t have to know everything. You just have to know where to find it”. It is extremely right when we are living in the age of the Internet, a rich source of information that lets us find out everything we wonder easily. Since a lot of information on the Internet nowadays is available in the form of videos, the process of exploring new things has become more interesting. If you make a large number of awesome videos and you want other people to watch them, what is better than showcasing all your amazing works on your own website? Thanks to WordPress, you can now feel free to do that in the easiest way, just with a click to pick one of the best responsive video themes for your site. Here are three convincing reasons why you should choose such a theme. As you create and run a WordPress website to present your drop-dead gorgeous videos, you certainly want your works to get popular, which means that they are highly ranked on search engines’ result pages. To do that, you need to optimize your video website for search, for example, by using a responsive video theme with SEO friendly structure and SEO features. 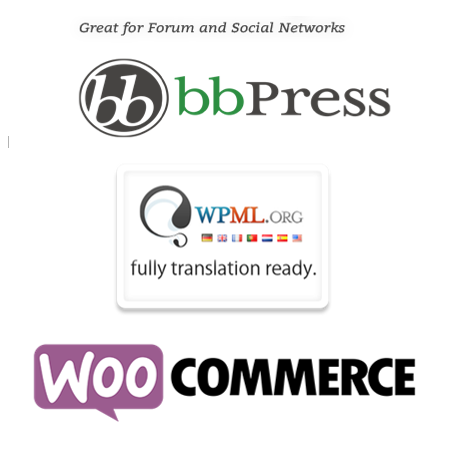 Fortunately, most of the WordPress themes are SEO-friendly, so you only need to pick a suitable one and your video site will likely receive a lot of attention. Not only do you need to produce stunning videos but you also need to have your website where you show your works appearing glorious and notable so you can attract as many viewers as possible. The best responsive video themes now provide you with many customization options in order that you are capable of changing the themes to suit your works and please your target viewers. You can easily change the color scheme, layout, header style, or even add a bit of code for your favorite special functions or effects manually. Besides, if you have any difficulty doing this, you can find instructions in online documentations or contact support teams for help. When you upload your videos to your site, there are likely a lot of people around the world who can view your videos. 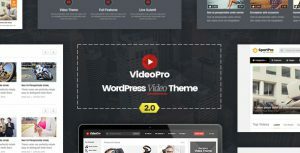 Since almost all responsive video portfolio themes now are compatible with translation plugins, your website’s content can be displayed in various languages. Thus, the worry that people from other countries might not understand your content will vanish. 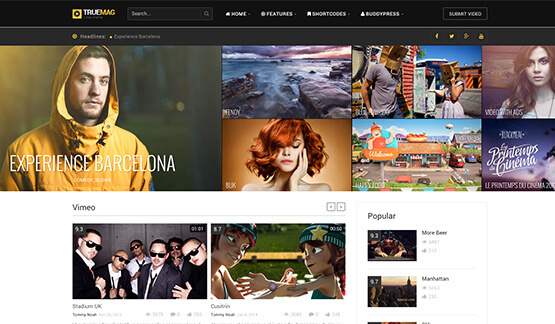 Besides, those themes allow your videos to be presented in a neat portfolio, through which you can express yourself and your visitors can have a general opinion about you and your works before they start to watch your videos. This feature also helps your audience find what they want to see more easily. Additionally, most themes are now integrated with social network plugins that let you create forums right on your site, which can help you not only know what your visitors think about your videos but also discuss your videos with them so that you are able to improve your later works. In short, video themes can support you in crossing any barriers between you and your audience. The three benefits mentioned above are just three among many reasons why you should choose a responsive video theme. You can gain a bunch of other advantages, depending on the theme you select.